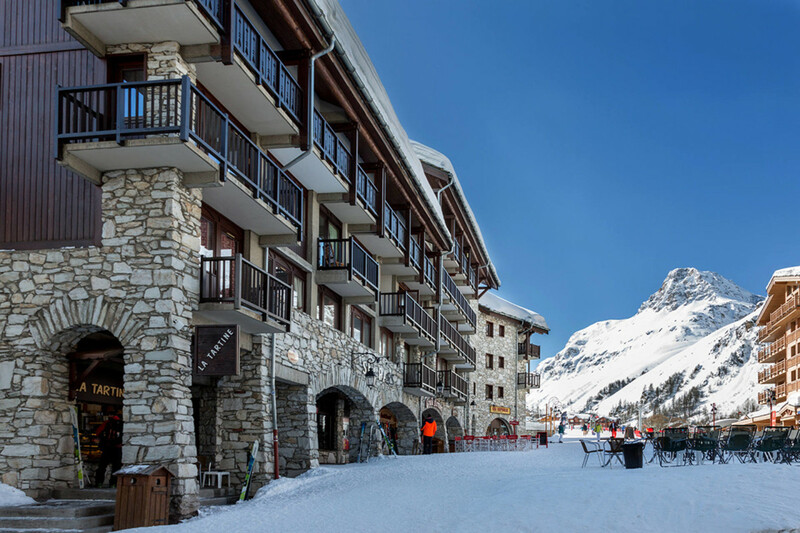 Charming Ski-in/Ski-out apartment with parking space in the village center. Raul is a cute 27m2 apartment for up to 4 guests. The highlight of this apartment is its location; offering both Ski-in and Ski-out while still being in the center of Val d'Isere. Shops, ski rental stores and restaurants are just downstairs. Located on the 2nd floor of the residence, entrance Pluton, with a West-facing balcony. Kitchen: Equipped kitchen with oven, electric hood and dishwasher Living room: 1 single bed with 1 pull-out bed with legs Television with DVD player Radio/CD player MP3 Bedroom: 1 double bed Bathroom: Bathroom Separate toilet 1 Covered parking space (<1m80) Residence with elevator, secured with digital lock and concierge. Ski room on the ground floor of the building. Free shuttle a few steps of the residence towards the Fornet or Daille serving all the resort. Public parking of Le Center near the residence.